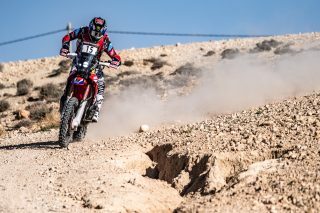 However, if the start of the rally was positive for Gonçalves, Brabec and Cornejo, Kevin Benavides had things go against him. 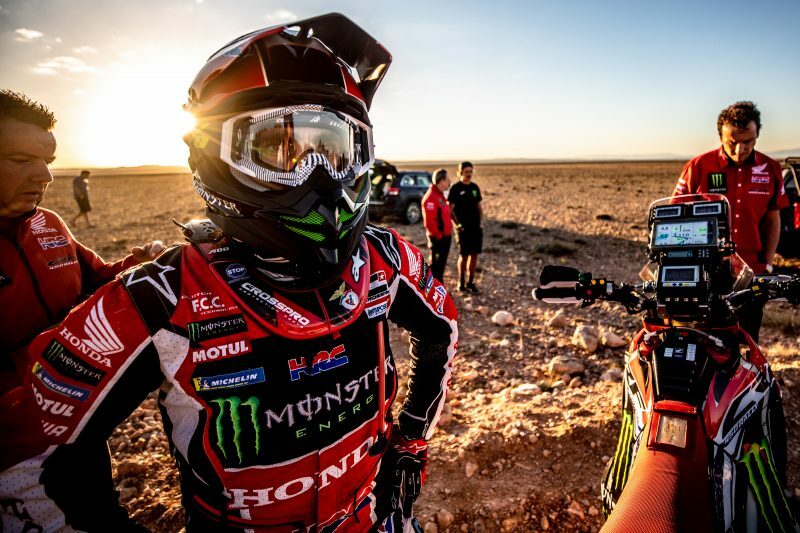 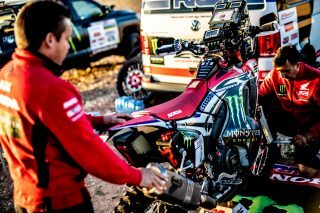 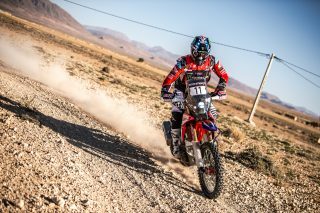 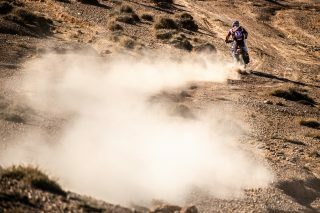 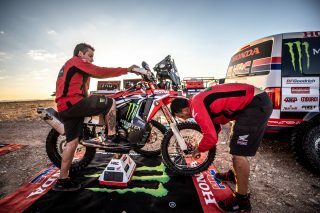 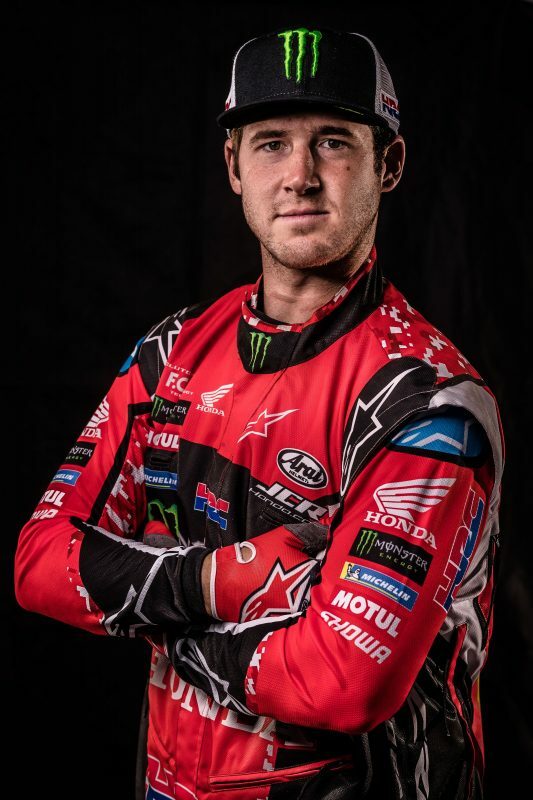 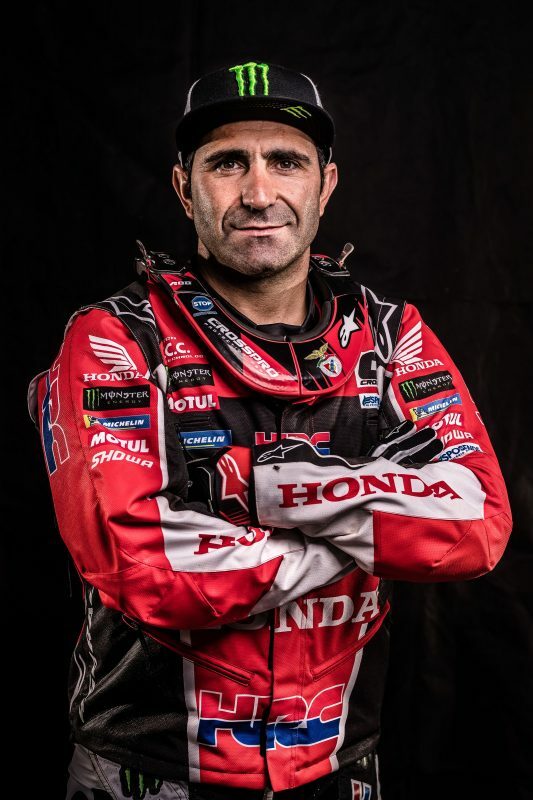 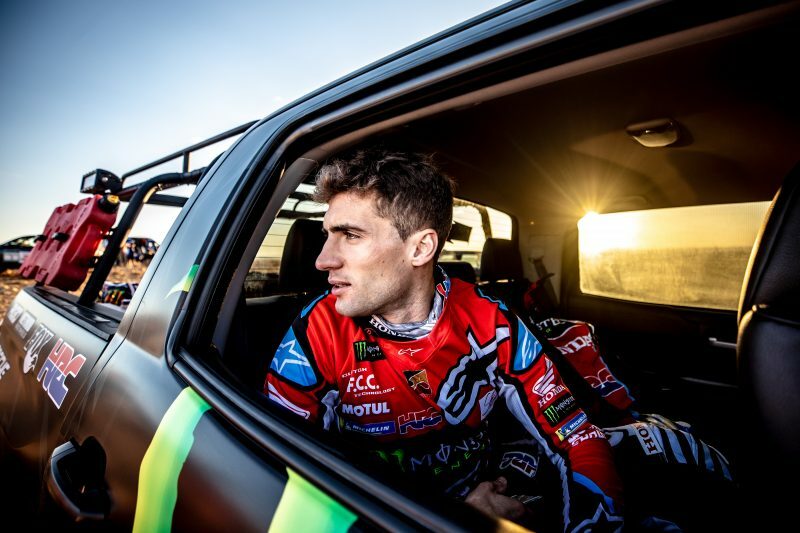 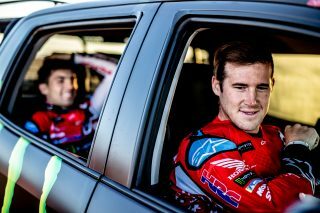 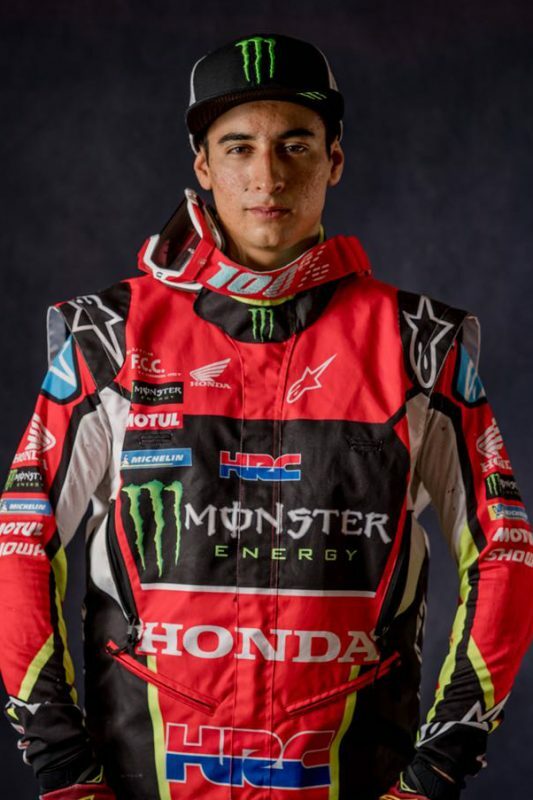 Monster Energy Honda Team’s Argentinean rider Kevin Benavides had a serious accident at kilometre 395. 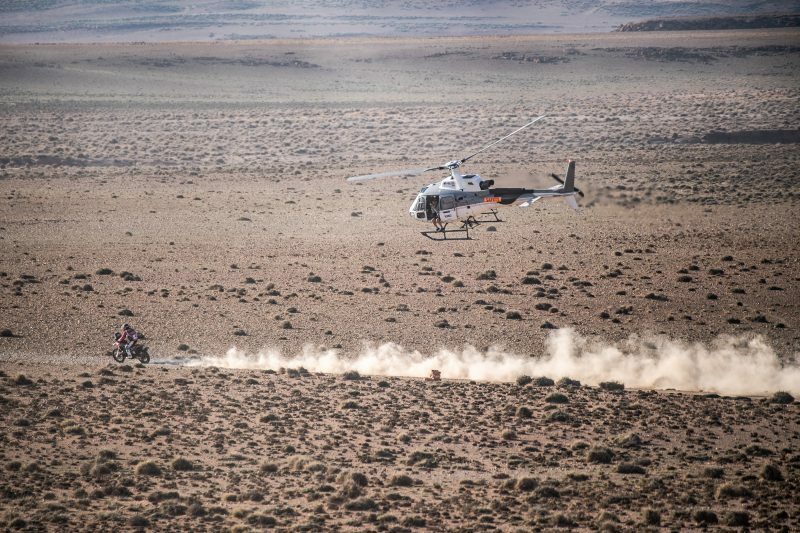 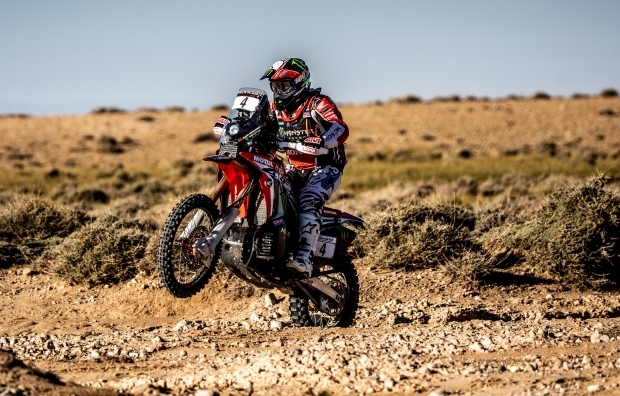 After receiving medical assistance on track, he was transported to the hospital in Errachidia in ambulance where he underwent further analysis which revealed no significant injuries. 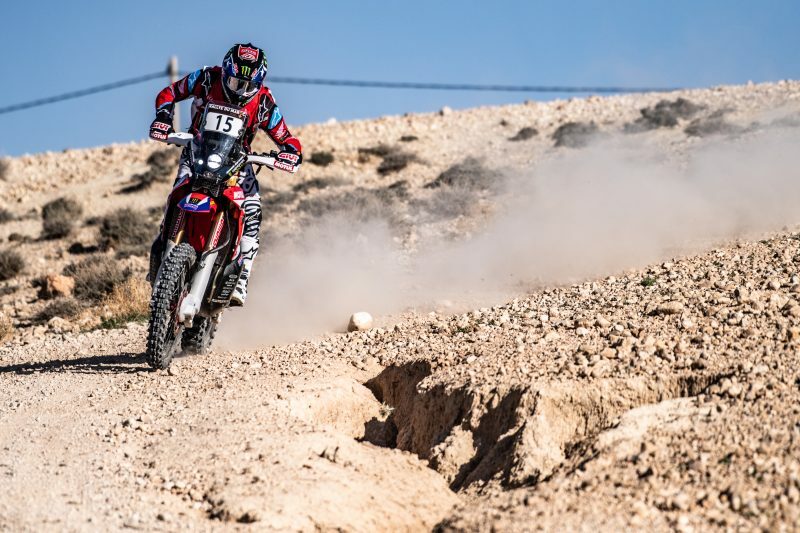 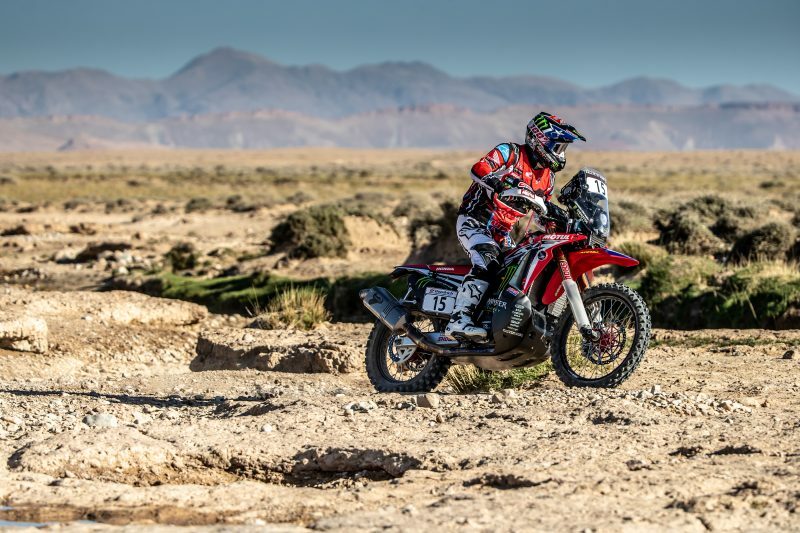 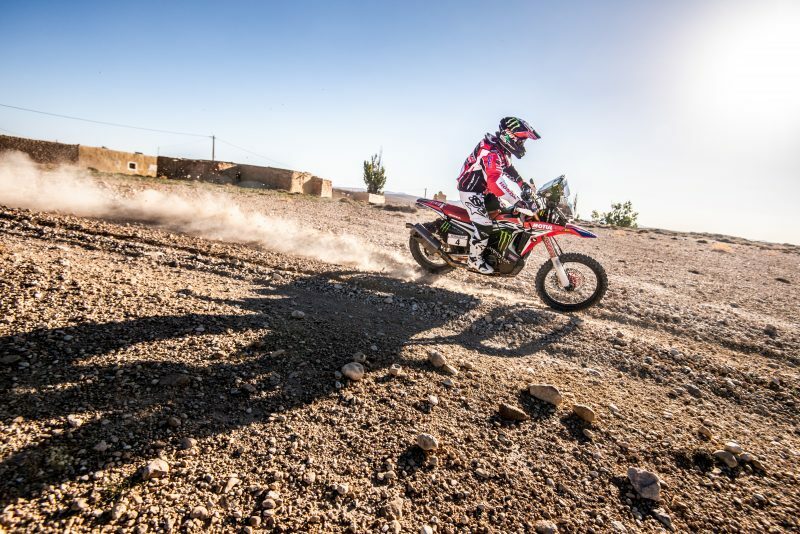 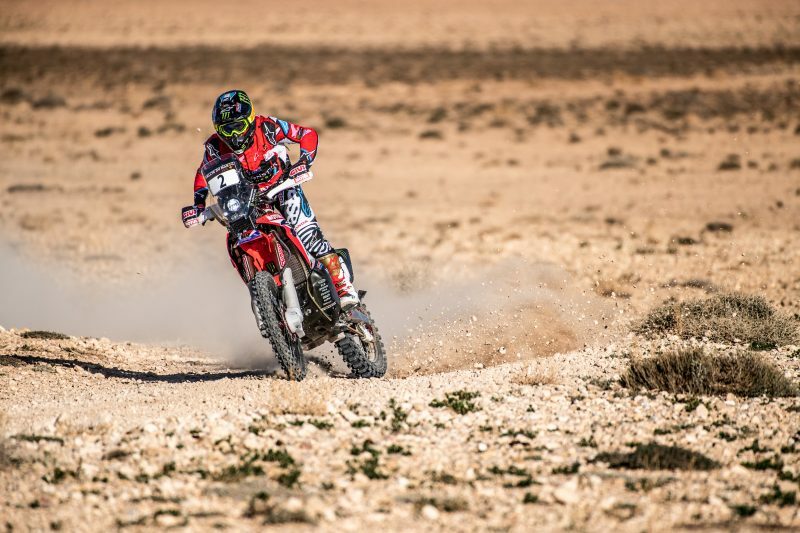 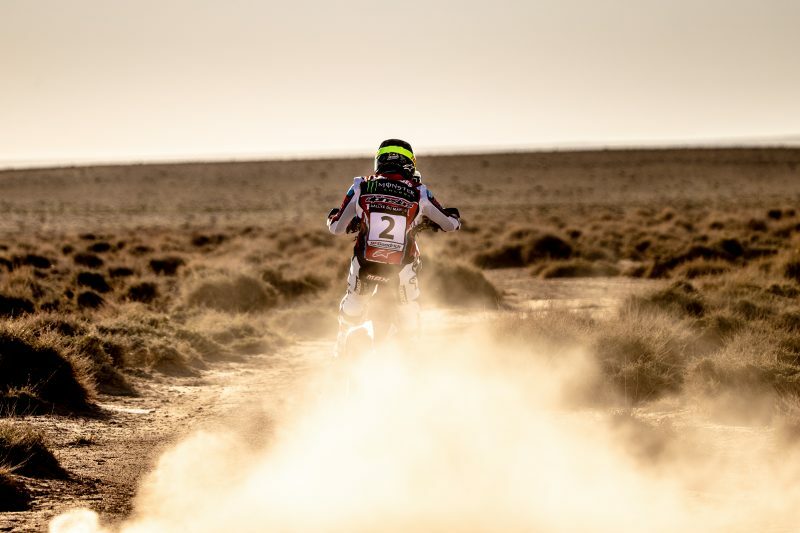 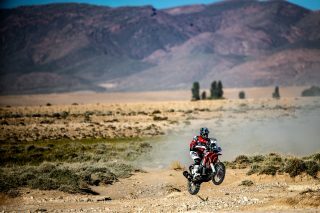 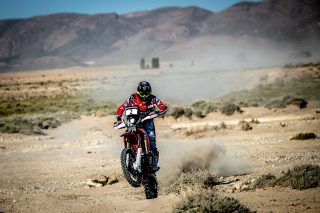 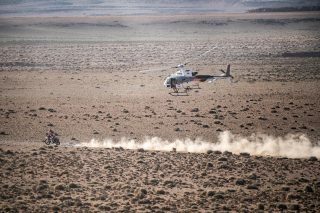 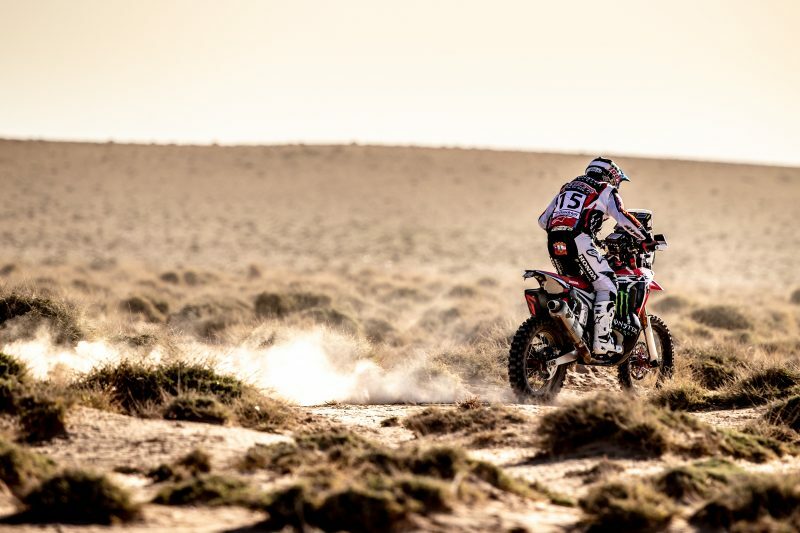 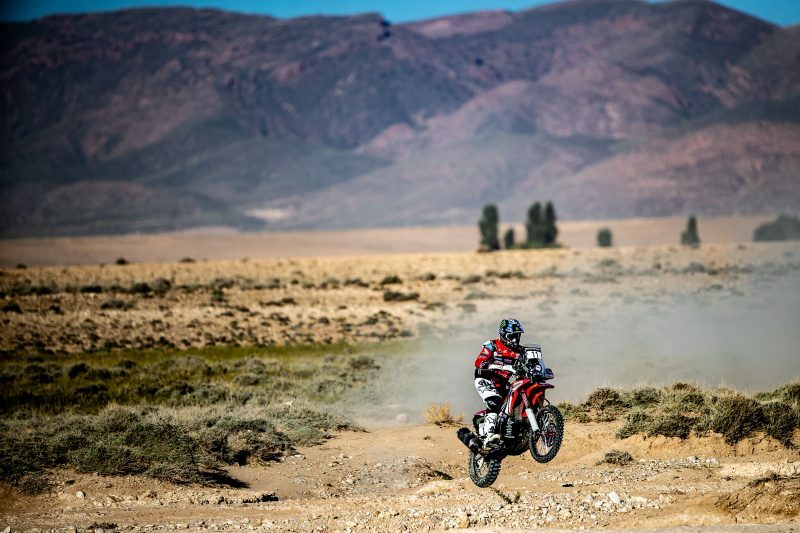 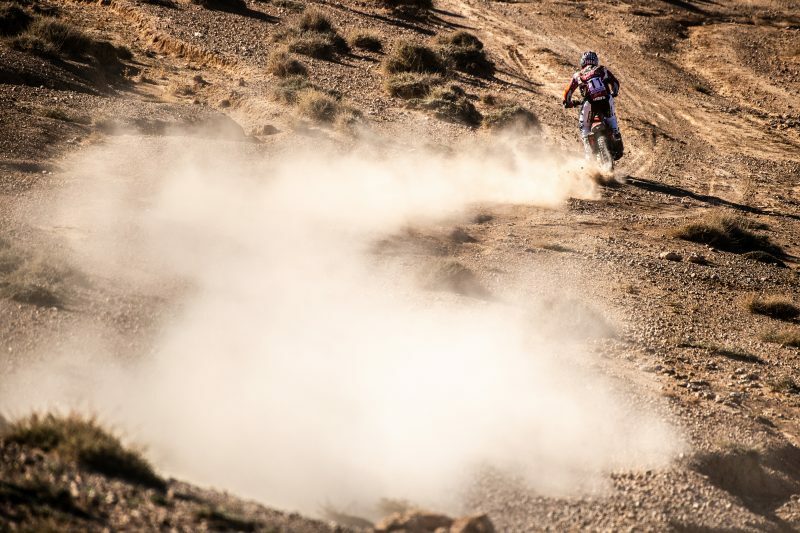 The second stage will depart from Erfoud tomorrow with a total of 281 kilometres of special, mostly, in the area filled with dunes and sand. 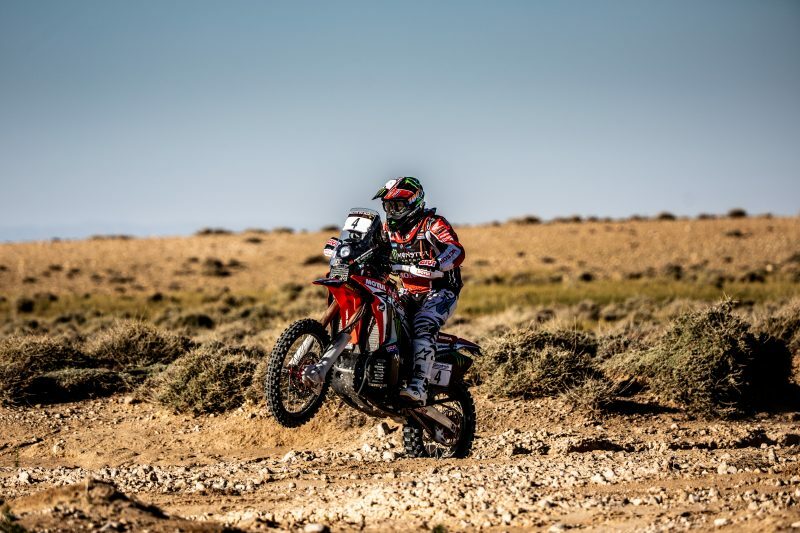 Navigation will be important in a day with a total of 317 kilometres. 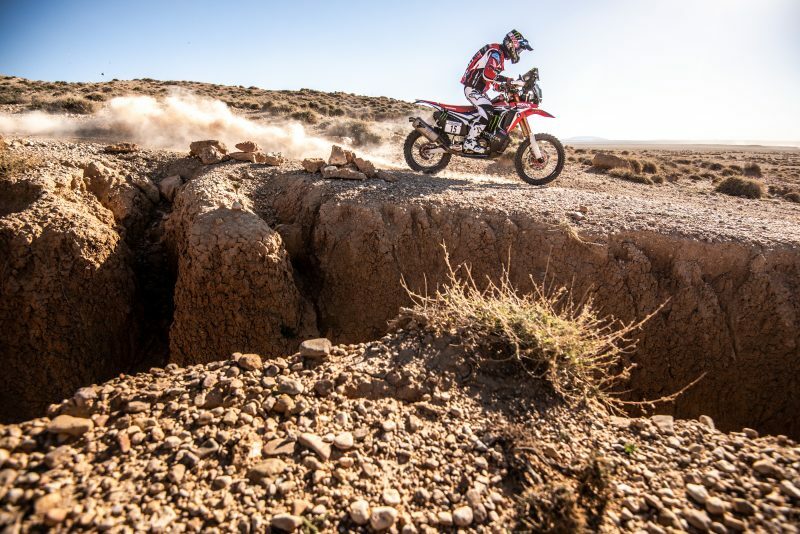 The first of five stages. 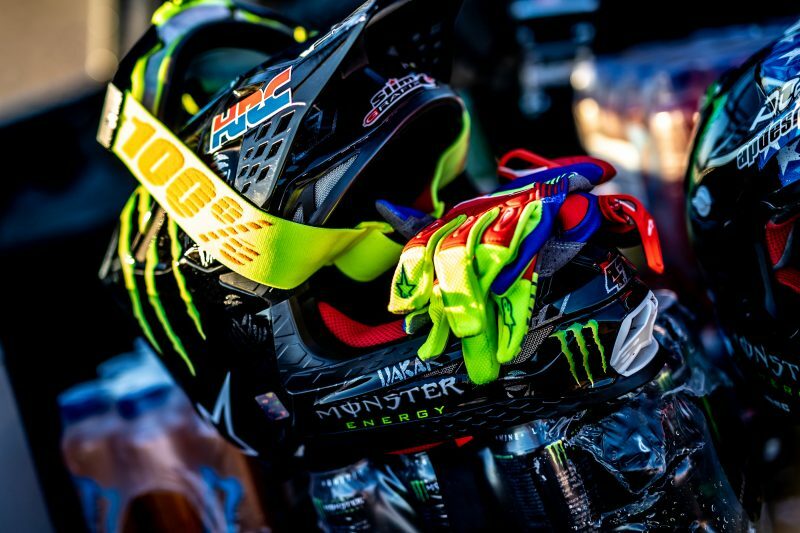 A long day with a lot of links. A stage of 100 and 70 with the rest 230 kilometres of liaison in total. 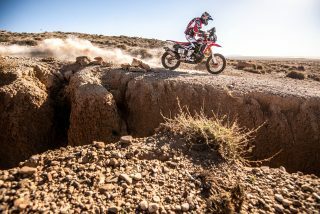 The special has had dry rivers with a lot of stones, and it was very dangerous. 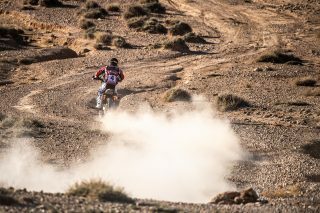 I tried to go with good pace, without making mistakes. 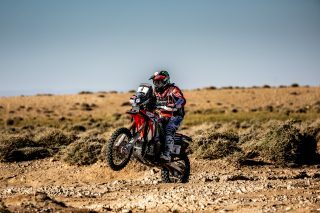 It was good, although I did have a little navigation doubt, in a complicated point, but I managed to arrive without problems after this long first day. 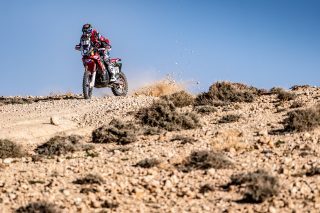 Unfortunately we have our team-mate Kevin who has fallen and I want to wish him the best and hope the injury is not serious and that he recovers soon.